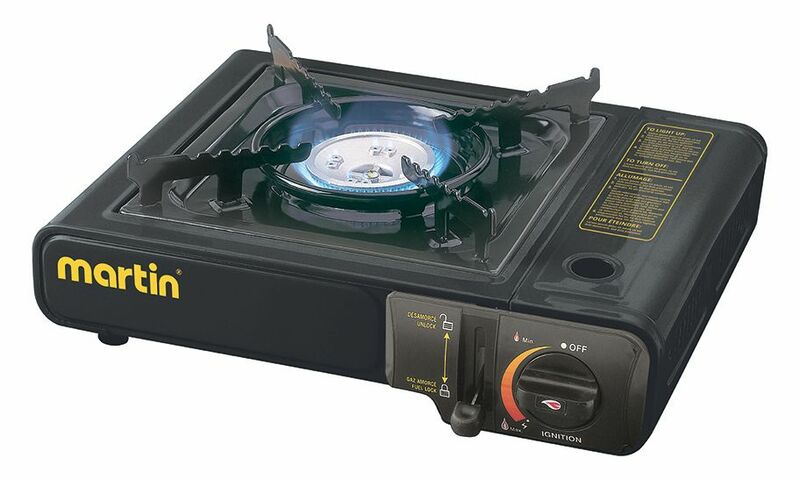 The Martin VT-202 Butane Stove (black) gives you all the cooking power you'll need, when and where you need it. 8,000BTU's provide all the heat you need. Case included. VT-202 Butane Stove The Martin VT-202 Butane Stove (black) gives you all the cooking power you'll need, when and where you need it. 8,000BTU's provide all the heat you need. Case included. VT-202 Butane Stove is rated 5.0 out of 5 by 2. Rated 5 out of 5 by Itproman from Perfect For a Power Outage And Simple Setup We have one of these,bought some time ago.but never used it. Recently,we had a long power outage,so I set it up in the garage and tried it out. Simple to set up and use. Rated 5 out of 5 by Patsy from Handy dandy. Compact ,convenient and delivers plenty of BTUs for regular cooking. Handy too should there be power outage. Hi: The propane cylinder is sold in stores for this stove? Is it a special cylinder or it can be joined with the regular propane cylinder? Is this stove safe to use in the house in the event of a power outage? Notice for the product say to use outside only! Bringing the product inside would be your responsability. Alot of our customer use it for Fondue or power outage.